As vineyards around the Midwest prepare to bring in their grapes, the record cold winter, late spring and cooler summer will drastically reduce the harvest for certain grape varieties, especially vinifera, in many areas. Grape brokers are reaping the benefits and report a steady increase in sales of Californian grapes and juice to the Midwest. 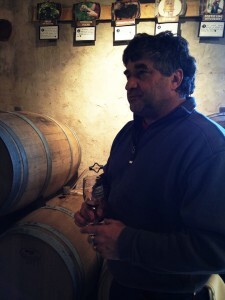 However, some Midwest winemakers are toughing it out and refusing to resort to grapes imported from outside the region. In southwest Michigan, Dave Braganini, president of St. Julian Winery, the oldest winery in the state, is crushing almost 3,000 tons of grapes last year. St Julian uses only locally grown fruit sourced from 15 acres of estate grapes and about fifty growers. Braganini said their vinifera got hit hard this year. ‘The vinifera crop is pretty dismal. Probably 50% of normal,” he said. Braganini said this year’s harvest prospects depend more where the vines are planted rather their variety. Those closer to Lake Michigan, even though it froze over, tend to fair better. Unlike the vinifera, Braganini said their French hybrids — including Frontenac, Marquette, Foch, Concord and Niagara – for the most part they made it through fine. But what’s really saved them this year is their inventory of juice in cold storage. ‘I’m just looking at our inventory and we have $4 million worth of inventory in all different shapes and forms,” he said. If they do end up needing to bring in any product from the West Coast it won’t be until spring and it will be wine, not grapes or juice. ‘I think it’s crazy to buy grapes on the west coast and truck them all the way here – that just doesn’t make sense to me. I’d rather taste the product,” he explained. Gill’s Pier grows 4 acres of estate vines including Sauvignon Blanc, Riesling, Cabernet Franc and Merlot. 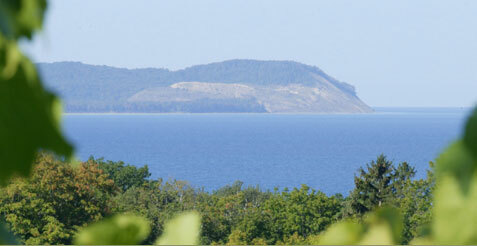 They lease 8 acres of Pinot Gris, Riesling, Vignoles, Dornfelder, Regent, Frontenac and Lemberger. Sterkenburg says they’ll definitely be short of fruit this year but have a practice of not importing any grapes or juice from out of the state. ‘If I could find fruit downstate I would, but they are in the same boat and in most cases, worse off,” he said. Despite this year’s brutal treatment by the weather, Gill’s Pier has no plan to pull up any vinifera. ‘It happens [the difficult weather] and you need to prepare yourself for what mother-nature brings. Had we not had such cold temperatures for extended periods, we would have been fine,” he said philosophically. Philippe Coquard, winemaker at Wollersheim Winery in Wisconsin, said they planned to start picking their first grapes for their brandy on the Labor Day weekend. Coquard and his daughter Celine have done extensive bud counts on all their parcels and found the same trends they noticed early in the spring when they adjusted their pruning to try and compensate for bud losses. ‘We are still looking at a 30% to 40 % shortage of estate grown fruit. It appears to be the same for our Wisconsin growers,” said Coquard. However, he said further north in the state it is much worse, with some growers down to between 10 and 20% of last year’s crop. For the varieties that Wollersheim Estate and its growers produce, Leon Millot was hardest hit and is up to 70% down on last year’s harvest with LaCrosse and St Pepin suffering about 30 to 40% loss. ‘We will make less of these wines because they can’t be replaced by Washington Riesling of Californian Cabernet,” said Coquard. However they do import fruit each year. ‘We do have contracts with vineyards in other regions and that will be unchanged,” he said. Coquard said this is a necessity for a winery of their size. The imported grapes include Pinot Noir and Riesling – which they custom grow in other states, especially in New York. Meier’s Wine Cellars in Ohio produces about 200,000 gallons for wine per year and also juice. The more than century old operation is based in Cincinnati and operates two wineries in mainland Ohio but sources its grapes from the Isle of George, the northernmost of the ‘Grape Islands”. 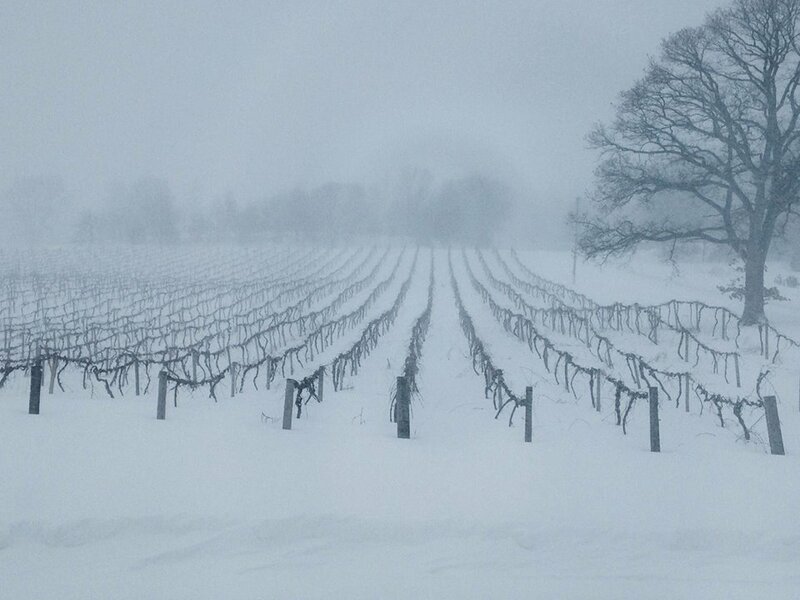 ‘The harsh winter did not greatly affect the native grape varieties [including Catawba, Niagara, and Delaware grapes] which we harvest,” said winemaker Bob Distler. However, across the Midwest, including in Ohio, many winemakers are low on fruit. 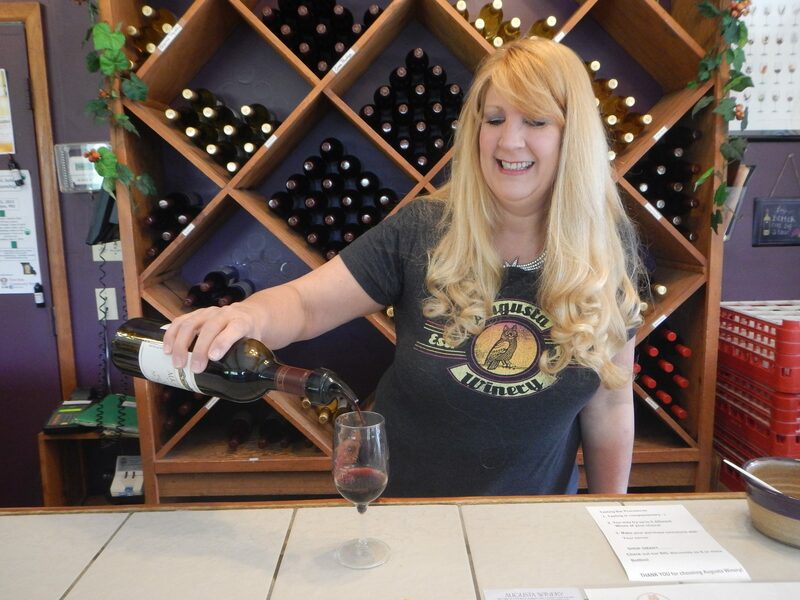 Grape brokers like Vinemount Estates Vineyard & Juice Company and North Coast Winegrape Brokers say sales are up. ‘Although we don’t feel happy when our farmer friends get in trouble, the bad weather helped us sell more especially in the Midwest,” said North Coast co-owner Shannon Gunier. Gunier said Cabernet, Chardonnay, Merlot, and Syrah were in demand the most, with a rise in calls for Pinot Grigio and Sauvignon Blanc. Grapebroker, David Howarth, from Vinemount Estates Vineyard & Juice Company also said that increased demand for grapes and juice from all regions is because of both the year’s difficult growing conditions and continued growth in wine industries like Georgia and Florida. ‘High profile vinifera names continue to lead the charge in sales,” said Howarth. “On the red side, the heavy hitters are Cabernet Sauvignon, Cabernet franc, Merlot, Pinot Noir, and Zinfandel. Muscato and Chardonnay are the big names for white – not just as a stand-alone wine – many of our commercial winery customers are looking for a smooth, sweeter wine to work with, as a good blend for their fruit wine products,” he added. Like North Coast, they’re not having trouble meeting demand. ‘The California harvest is in full swing with a high quality, bumper crop projected,” said Howarth.